The last time we wrote about Vendovi Island, we detailed the Island’s auction and unforunate lack of sale. 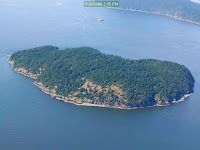 Saturday, The Seattle Times released an article revealing that the Island has finally sold. After being on the market for over 2 years, the island was sold to The san Juan Preservation trust for $6.4 million. The Island will remain closed to public access while they take an inventory of resources and develop a management plan. San Juan Island residents raised nearly $3 million in donations and provided a $3.4 million bridge loan for the purchase. The Island which is primarily undeveloped, aside from a one, four-bedroom home, is a piece of land that will most likely maintain its environmental beauty.